Driving cross-country gives you plenty of time to think. Maybe too much time. The second and final leg of our journey home started just south of Chattanooga. We were on the road by 7:30 Eastern time. Somehow, knowing that we were on the cusp of gaining an hour, moving from the Eastern to the Central Time Zone, felt like we had gotten an earlier start. The family, or at least the members that were with us (1 wife, 1 daughter out of 2, 1 grandchild out of 2, and 2 dogs out of 3) quickly settled into their traveling routines of napping, reading, and checking phones and iPads, leaving me alone with my thoughts. I rewound the events of the last week and played them back. We over-ate in moderation at a myriad of good restaurants, caught lots of sun but avoided any burns, and collected a fair amount of shells without turning it into a job. One night I introduced my grandson to “The Princess Bride.” By any measure, our week on Sanibel Island, was a success. The highlight being a guided fishing excursion in pursuit of snook. The bonus part of that expedition came as we waited on the docks of Jensen’s Marina for our guide. A large group (herd?) of manatee was frolicking at the marina. 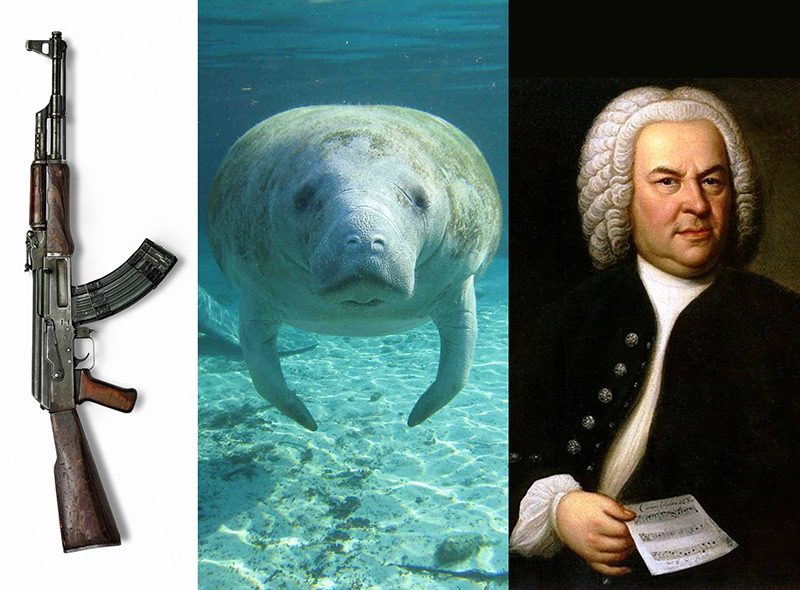 Having never been a manatee, I don’t know what was going on, but my best guess would be that they were intent on perpetuating their species. In any case they were more active than any manatees I had seen before. 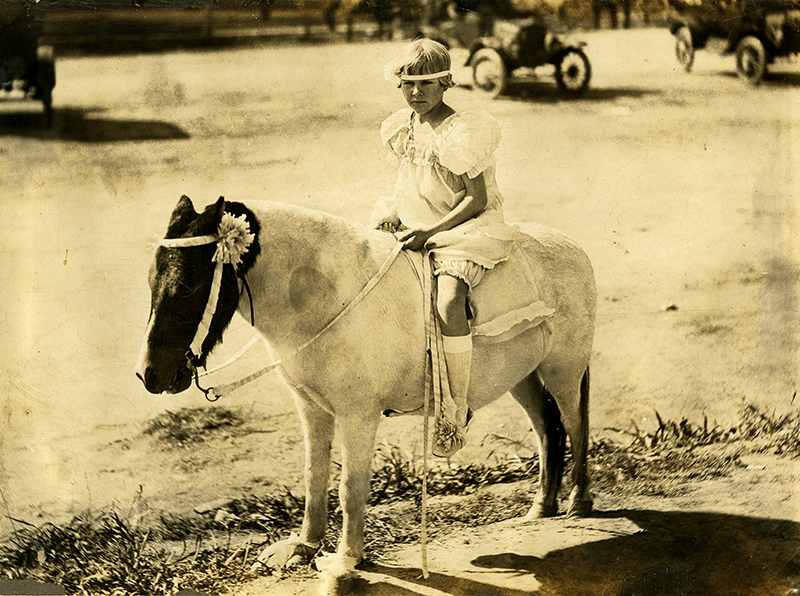 Mom astride her pony, Billy Sunday, preparing to ride in a parade (circa 1927). Mom claimed he was given this name by my grandfather because the pony was acquired on a Sunday. I have a suspicion there may be a little revisionist history going on here. By all accounts my grandfather was far from a religious man, I can’t prove it, but suspect that the obstinate and sometimes ill-tempered pony was christened thus to poke fun at the famous evangelist rather than pay homage to him. Nobody outside of our family will care that the pony my mother was riding in the photo at the top of this post was named “Billy Sunday.” This is knowledge that can’t be obtained by “Googling.” This is information that is of no interest beyond a select few individuals, but it is a part of who I am. Sometime before my mother lost her eyesight she had the foresight to go through our collection of old black and white family photos. With a soft pencil in her scrawling delicate script she inscribed on the back of each image the names of the people pictured along with the location and approximate year as her memory allowed. She told my brother and me that she was doing this because we would not know or remember the details she was recording. Sure, I recognize most of the people captured on the prints primarily because they are shots of immediate family. Others however would be unknown to me if not for my mom’s record keeping. Sadly, it has taken me years to have a real interest in my roots and my family’s history. My self-absorbed teenage years blended into my 20’s and 30’s which were only slightly less self-obsessed. Fast forward a few decades and now I would love to sit down with Mom and Dad and have them fill in some missing details from their early years. Dad passed from us in 2012 and a hundred years of living has worn Mom’s memory thin, it skips and jumps like an over-played cassette tape.